Prevention is better than a cure & fire suppression systems are based upon that principle. Fire suppression allows for human intervention in preventing ignition or re ignition and thereby saving the environments our fire suppression systems are designed to protect. A fire suppression system has a minimum of two firedetection zones. The fire suppression control panel uses whats as a 'Co-Incidence" monitoring facility. 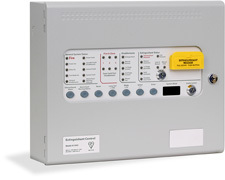 This allows the fire suppression system to monitor all detectors connected to these zones. The fire suppression gas will only be discharged if there is a coincidence of activation from a minimum of two fire detection zones. A combination of bells and electronic sounders are connected to the fire suppression control panel. When the fire suppression system detects smoke, it raises the 1st stage alarm. 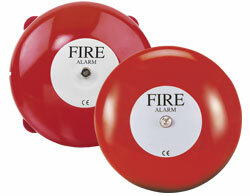 This alarm is considered as a general evacuation alarm. If a further activation is detected via one of the other detectors on the system, the system will raise the alarms of the Sounders. The sounders are the final warning before the fire suppression agent is discharged, this is normally 30 seconds from the this activation. A fire suppression system must have two clear and distinguishable alarm types. 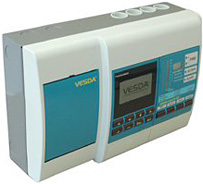 The corner stone has to be an efficient means of early warning/detection such as VESDA air sampling. Followed by either an Oxygen reduction system (achieved by the use of an Inert gas fire suppression system such as INERGEN, IG55 or IG541), or alternatively heat absorption (achieved by the use of a synthetic agent system such as FM200 or Novec1230). Fire Suppression Limited systems are intelligent in design and have been installed to protect environments ranging from simple storage units to multi million pound data, computer, telecommunication and archive centres. Whether choosing an inert fire suppression gas or synthetic fire suppression agent, our systems operate efficiently to protect life and property whilst minimising any risk of damage to the room or equipment. This depends upon the nature of the risk to be protected (E.G. Computer Server rooms, paper archives etc), the location of the risk,etc, the space available for the storage of fire suppression cylinders, as well as consideration of environmental and of course the financial cost. All of which Fire Suppression Limited can assist you with to ensure maximum, efficient, green fire protection. Fire suppression system use one of four mediums, these are divided into different categories and each have their own unique fire fighting capabilities. How does a suppression system work? Any fire burns when it has sufficient Heat, Oxygen and Fuel. The suppression system is designed to remove one or more of the elements. These reduce Oxygen to below 15%. With Oxygen levels at around 15% and below, combustion is not possible. 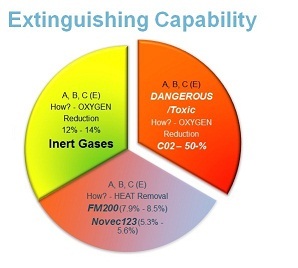 Fire suppressants such as INERGEN, IG55 and IG541 are designed to reduce oxygen levels to below 15% but higher than 12%. This means that it is safe for the occupants of the enclosure to egress safely post discharge. These fire suppressants are designed to reduce heat. Basically the agents are very similar to refrigerants. Due to the nature of the fire suppression technique, these refrigerants only require a small concentration. This means less cylinders and lower pressures. Oxygen level are also not significantly reduced which also makes them safe to use within occupied spaces. Generally these systems are not suitable for total flooding of computer rooms and other typical fire suppression applications. Water mist fire suppression system are particularly good for extinguishing or suppressing fire that burn at high temperatures. The fire itself is used as a medium for drawing in the water vapours as it burns and this suppresses itself. These work by drenching the are area they are protecting. This inerts the fuel and stops the spread of fire. The problem with sprinkler systems, is that they can sometimes do more damage than the fire itself! Water mixed with high expansion foam solution such as AFFF, allows the foam to rapidly smother the are with foam. This is not suitable for most common fire suppression applications, but particularly good for large open spaces, where spillage of fuel or other types of combustible liquids are present. We provide a bespoke service, whether supplying to and supporting others within the fire prevention industry or other associated trades. Our fire protection engineering services include full system design, installation, training and maintenance, to ensure our customers get the best possible fire protection system in the industry. We carry a full supply of equipment, fire suppression agents, and parts in stock thereby meeting all delivery expectations, as well as manufacturing our own range of very high quality ABS pipework and associated fittings for VESDA air sampling systems. (All manufactured within the UK). With quality and safety as cornerstones of the business we will only use materials and equipment that comply with EU regulations,ISO and British Safety Standards & codes of practise.